A rising China continues to attract the attention of an unprecedentedly interconnected and interdependent world. This time, it is not about China's external behaviour. 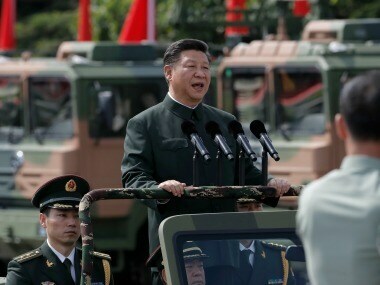 It is rather about centralisation of Chinese politico-military control in the hands of President Xi Jinping, who is on the verge of acquiring more power than any other Chinese leader since Mao Zedong. The world must constructively engage the most powerful leader of a newly emerged great power. The Chinese constitution is set to amended to pave the way for Xi Jinping to remain lifetime president or till he chooses to retire. In the absence of the proposed amendment, Xi will have to demit office in 2023, on completion of his two consecutive terms. Deng Xiaoping had introduced this clause to make sure that power is not concentrated in the hands of one leader. As China gradually moved away from one-person rule towards a consensus system, the transition of power from Jiang Zemin to Hu Jintao to Xi was relatively simple and straightforward. With Xi at the helm of affairs, this is no longer the case. Amending China's constitution is a foregone conclusion at a time when Xi has strengthened his hold on all the organs of the Communist Party of China (CCP). In 2016, he became the first leader since Deng to be addressed as "core leader". And last year, "Xi Jinping Thought" was added to the Party constitution. Everything is happening as per Xi's script, and the principles of collective leadership and rotation of power at the top will soon become history. There will be huge strategic implications of this development for the world as well as for India. However, leadership continuity is not as bad for India as it is being perceived worldwide. Having seen Xi work for the last six years must have taught India's foreign policy and security establishment enough about his grand vision, style of functioning, leadership traits, and much more. 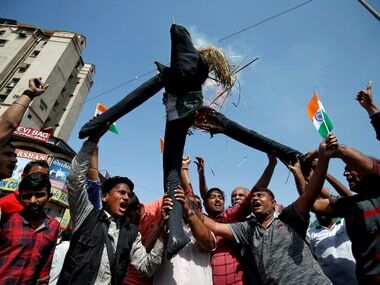 India's political leadership can feel confident that it is dealing with someone it knows better. Through several of his public statements and speeches, Xi has made it amply clear that he is attempting to build a new Chinese order which begins by establishing Beijing's unrestrained hegemony in its neighbourhood. Ever since he assumed leadership in 2012, Beijing has demonstrated assertive strategic behaviour towards its neighbours, especially those with whom China has a territorial dispute. The One Belt, One Road (OBOR) initiative is also part of Xi's grand blueprint to establish China's military superiority in the South and East China Seas, as well as in the Indian Ocean, whose geo-strategic and geo-economic significance has grown over the years. Indian military planners must already be watching Xi's landmark reforms unfold. He has been implementing military modernisation plans with great energetic push, and the aim is to make Chinese military more agile and battle-ready. Having built its second aircraft carrier, Xi's China will have a blue-water navy in coming years. Xi also wants to close the gap on weaponry with Russia in a decade and with the United States by 2050 as he is desperately seeking China to move into a power vacuum left in Asia by a seemingly retreating Washington. Xi has stressed the value of a strong military to a successful foreign policy, emphasising the importance of prioritising the economic interests of those countries that support China's core interests. India's military thinkers must have figured out the implications of an impending arms race in Asia. Besides increasing its own military spending, India is entering into a partnership strategy with the US, Japan and Australia, so that it does not get sucked alone into an arms race with China. Prudently, Narendra Modi's India is more inclined to hold its ground, especially with support and assistance from allies. India's intelligence agencies have often faced numerous challenges in deciphering China's grand strategy under different regimes. But leadership continuity under Xi will make sure that they will not have to spend too much time and resources in factoring in the changes in personality and vision of the topmost leader, thereby helping them calculate better India's institutional response of many future developments. Indian intelligence will also be constantly looking for signals of weakness in Xi's unwillingness to share power and allow the rise of a potential political rival. It can be convincingly argued that six years down the line, Indian strategists have understood that China's external behaviour under Xi is dictated as much by strategic rationalism as by its relentless search for global prestige, status and recognition, with OBOR being the most notable example. After Xi became president, China's strategic footprints in India's neighbourhood are much larger than they were before. Earlier, Pakistan was the only country in South Asia that used to have very good relations with China. Now, there are many countries in India's periphery that are eager to allow China to have a greater foothold. Moreover, Pakistan is now a major part of Xi's dream project, the OBOR. India has realised that by reinforcing China's strategic determination, Xi is trying to gain maximum strategic advantage vis-à-vis India. Nobody in India believes Xi's projection of China as a selfless Samaritan with wholly altruistic intentions. The PLA's frequent incursions into the Indian-claimed territory, including the standoff in Doka La at the tri-junction of India, China and Bhutan last year as well as China's increasing military presence in India's immediate neighbourhood are fundamental realities New Delhi is fast learning to live with. One can well argue that India will have to face more Doka La like situations on its disputed border with China. However, India has learnt the lessons of the Doka La standoff, and India's strategic establishment must be making adequate preparations for making Indian military strong so that India is not taken for a ride by China. The manner in which the Modi government has been stepping up its ties with all ASEAN countries must be seen as one of the vital components of India's response mechanism to deal with an assertive China under Xi. The 'Quadrilateral' involving India, the United States, Japan and Australia can also be seen as a platform for implementing the Modi government's 'Act East' policy, whose core is formed by the ASEAN as manifested in the ASEAN-India Commemorative Summit in January. Similarly, India is acting sensibly by seeking greater American presence to balance potentially disruptive Chinese behaviour in South Asia. As New Delhi is not in a position to match Beijing when it comes to spending money on infrastructure building, the Modi government must concentrate on India's core strength – soft power projection – since conventional hard-power tactics predicated on military might has obvious limitations in the international system. Panchamrit principles, as outlined by the Modi government in 2015 for guiding India's foreign policy, must be pursued with greater vigour now. 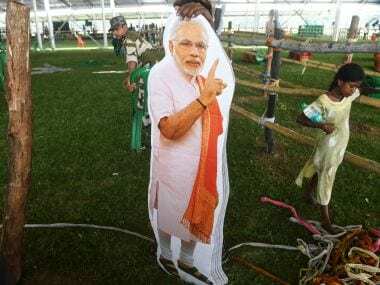 The Modi government, which has not underestimated the value of engaging China, has quietly begun to adjust its diplomatic strategy in order to avoid misunderstandings and misperceptions. Indian foreign secretary Vijay Gokhale's recent Beijing visit is undoubtedly aimed at building bridges with China. Gokhale is seen as having played a role in the resolution of the Doka La standoff. 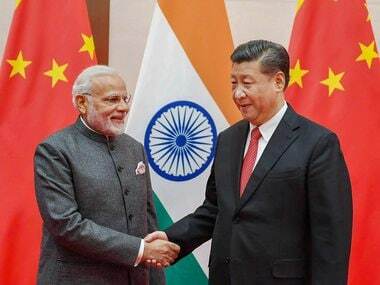 According to the statement issued after the talks, the two sides "noted the need to build on the convergences between India and China and address differences on the basis of mutual respect and sensitivity to each other's concerns, interests and aspirations. Both sides underlined that as two major countries, sound development of relations between India and China is a factor of stability in the world today." Clearly, India and China can achieve reconciliation if they find a sustainable mechanism to avoid strategic miscalculations and misjudgements. Xi is aware that the many challenges the world faces today, such as climate change, terrorism, the spread of nuclear weapons, and cyber threats, can hardly be handled by China alone. It is these regional and global challenges that paradoxically can create opportunities for India and China to engage with each other. Strategies for engagement and reconciliation are what India and China need to maintain in this chaotic but interconnected world. 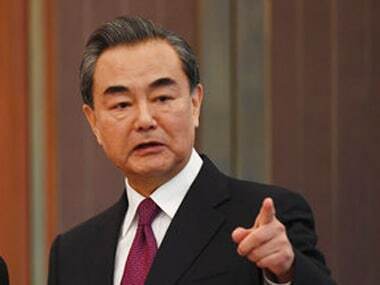 India's skilful diplomatic move of congratulating China for being elected vice-president of the Financial Action Task Force (FATF) is a part of this thinking. The FATF is an inter-governmental body to combat money laundering and terror financing, and China's support is crucial to put Pakistan in the watchdog's grey list in June this year. The FATF’s recent motion was not a unilateral Washington pressure tactic; it was a consensus decision co-sponsored by many European countries and not opposed by Pakistan's "all-weather friend" China. Does this arouse possibility of extracting some concessions from Xi Jinping on quid pro quo basis? India can surely think of bargaining with China on many contentious issues. Xi is not going anywhere.